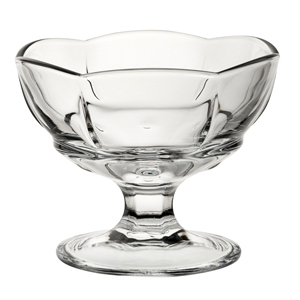 Whether you are serving an ice cream sundae, fruit sorbet or dessert mousse, the Utopia Ice Cream Cups offer a highly versatile design. Featuring a traditional panelled design and footed base, which makes this glassware perfect for showing off your ice cream creations! Ideally suited for fast-paced commercial environments, these Ice cream cups are constructed with professionally quality and are dishwasher safe.